Ann Michaels & Associates recently conducted a study to show representation for companies who relay on referral services to gain new business. As an online and telephone referral service, customers are able to contact the referral company to disclose their needs. From there, the referral company pairs them with the best match based on their specific situation. The study revolved around the online portion of the business, as referral members were concerned about their representation based on the fact that business generated from this company was down quite significantly. The client set out to pinpoint how customers were being referred and how the process works for potential customers. Starting at the referral service’s website, mystery shoppers were deployed to pose as potential customers that would best align with the client’s services. Being instructed to enter specific criteria, the shoppers went through the referral process, and took screen shots of every page they encountered. Additionally, when their options for companies was offered, they took a screen shot for the client to investigate further. 1. Despite the fact that shoppers provided information indicating that the client was the most relevant fit for their needs, they were often times not one of the suggested companies, or if they were, they were consistently one of the last offerings on a long list of company options. 2. Their pricing structure was not listed correctly on the page with potential companies to hire; in fact, they were listed at a higher rate than many of the competitors, despite the fact that they have made their pricing structure clear with the referring vendor at the onset of their relationship. 3. Only when their company was selected as a vendor did potential customers see more accurate (and many times, lower) pricing. 4. In general, shoppers found that the process was a bit difficult, with many steps that were not clear or easy to understand in order to get to the referral section. Shoppers consistently indicated that, as a true customer, they would have become frustrated and aborted the process before finding a company to work with. At the conclusion of the project, the client had enough documentation, especially with regard to screen shots of the experience, to talk with the referral vendor to address some of the issues. A repeat project conducted after promises of resolving the client’s issue yielded much better results. By providing screen shots directly in the mystery shopping reports. the client was able to easily identify issues that prohibited new business while getting a good understanding of what potential customers experience. As they say, a picture is worth a thousand words. Or, in this case study, it’s worth not missing any more business opportunities. I heard about this commercial not long after the Superbowl, and thought it was an interesting way to quietly go viral. I’m sure Old Spice was hoping that word would spread faster than its creepy commercials of recent past, and it seemed to work. I may be dating myself, but for those of you who remember dialing 867-5309 back in the day to see if you could really talk to “Jenny” as the popular song goes, this commercial was reminiscent of that. 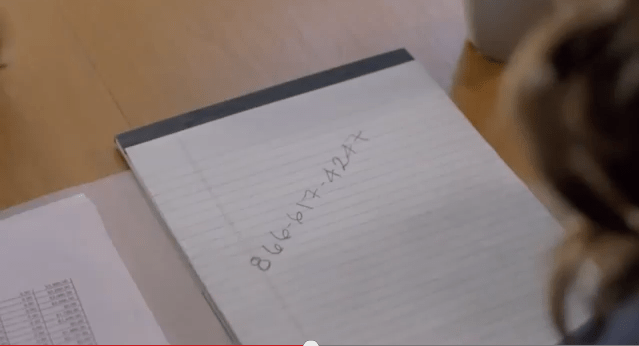 Unlike phone numbers shown on TV, this one doesn’t follow the standard 555-5555 protocol. It’s a real number, and as one lucky viewer shared, it was more curious because it was a toll-free number. Curiosity got the best of many, but one lucky viewer called the number and was awarded with free tickets to the Superbowl, as well as spending money and a few other perks. There is reportedly one other person who won tickets, and according to reports, over 12,000 viewers were curious enough to call the number in the commercial to see what happened. This is quite a unique promotional move on Old Spice’s part; something very simple, with a nice reward is a sure fire way for the brand to get some viral attention! Showrooming has been a concern for brick and mortar retailers, and Amazon is attempting to make it more of a concern in the near future. Showrooming entails visiting brick and mortar stores for product selection, only to end up purchasing online. Some e-commerce sites have been making that task easier by allowing easier online shopping and purchasing from mobile devices, but Amazon is taking a new turn to step in at the critical moment of purchase. According to a recent article, Flow is the newest addition to Amazon’s arsenal, allowing customers to scan bar codes of items they are shopping for, which in turn are used to look for that item on Amazon’s site and allow the consumer to make a mobile purchase, right then and there. Consumers also have the option to save the item to a wish list or share on popular social media sites. This latest addition to Amazon’s ever competitive strategy is forcing retailers to make their move to mobile more quickly than before. Retailers who offer mobile apps that make the purchase process simpler and more accessible will be able to leverage themselves against Amazon in some capacity. But, with this new in store capability Amazon is rolling out, it will be interesting to see if it can take valuable dollars from brick and mortar retailers. What are your thoughts? Do you think this new move from Amazon will hurt brick and mortars? Share your thoughts in the comments section and be a part of the conversation!